After slogging through 14 years of red tape, the first McDonald’s in the Soviet Union opened its doors in Moscow this day in 1990. It was the largest McDonald’s restaurant in the world, with enough seating for 700 people and the ability to serve 15,000 to-go orders daily. 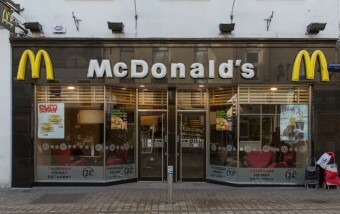 McDonald’s Canada was at the helm of the Moscow franchise with minimal input from the U.S. parent corporation for political purposes. To drive the point home, a wall display in the restaurant featured Soviet and Canadian flags. In order to deal with supply issues in a country as vast as the U.S.S.R., the company created its own supply network, including farms and distribution systems. To the average Soviet, these details meant very little. On January 31, 1990, people waited hours (seriously, check out this line) to spend several days’ pay just for a McWhatever with fries and a coke. This may seem slightly insane to those of us who can obtain this artery-clogging crap any time the mood hits us for little more than pocket change, but to Soviets of the time it was a Very Big Deal. The early 1990s were a time of quickly evolving political and cultural change in the Soviet Union. The notion that an icon of decadent capitalism such as the fast food chain McDonald’s could make it past the Iron Curtain was proof positive that a shift had already occurred in Russia’s political axis. For the Soviets, it was the first time they were given the choice to participate in a self-inflicted gastro-intestinal nightmare, something those in the west just take for granted. Perhaps the writer (and her boss?) thought that this was funny and accurate, but it is neither. Instead, it is disgusting and misleading to young readers who come here looking for the truth. First, the fact is that McDonald’s food is not “artery-clogging.” If it were, all of the restaurants would have been shut down by health authorities in many nations. 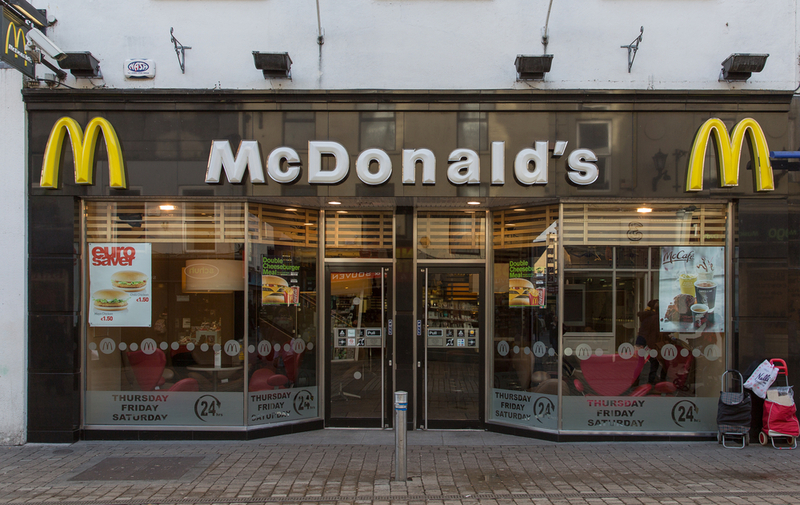 Second, McDonald’s food is not “c**p” (a totally inappropriate euphemism for feces) and is not a “gastro-intestinal nightmare.” Instead, to the average person, it is rather reasonably good-tasting and nourishing.